The Australian Synchrotron Cafe is now open, providing for your caffeine, breakfast and lunch requirements. 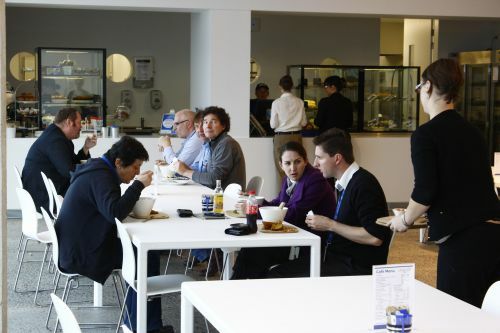 Located on the ground floor of the National Centre for Synchrotron Science (NCSS) building, the cafe is open from 8am until 2:30pm. made-to-order selections such as risottos, roasts and fish and chicken dishes. The cafe also provides take-away dinner options that you can heat later if you will be working onsite after normal business hours, or are staying at the Australian Synchrotron Guesthouse.